Some background of my profile picture. 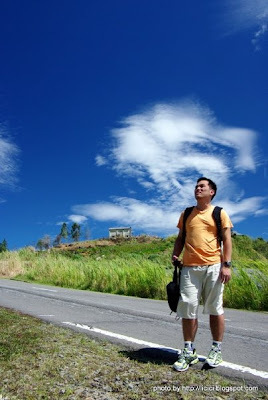 The picture was taken by my low yat friend licici aka tom yam during our trip to Borneo Marathon last October 2010. We were visiting the dairy farm at Kundasang, if im remember correctly. Our car Proton Wira 1.6 Auto was overheat and we have to stop at road side when we were going up hill visiting the cow farm. Kota Kinabalu also is my first time visitng the city. Lastly Thank you my friend Licici for the photo.